« Miscommunication or Missed Communication? There is so much to absorb when you start looking at strategy. Everyone has a view as to how to formulate and implement it, stakeholders all have different views as to what it should be, and if you do a google search for it – well let’s just say there is an avalanche of sites all purporting to have the answers for you. Having studied and taught strategy, we know how difficult it can be to sift through all the available information to plot a course for your organisation. One article that came across our desk recently seemed to offer some new perspectives on how to really shift your strategy process into high gear. It comes from McKinsey&Company, based on an article and book by some of their team, Chris Bradley, Martin Hirt and Sven Smit, and is entitled ‘Eight shifts that will take your strategy into high gear’ (read it here). Do away with the annual planning meeting and process that looks at 3- to 5-year plans (which become outdated within weeks of them being written), and instead look at a ‘rolling plan’ that can be regularly updat3ed as your context changes. 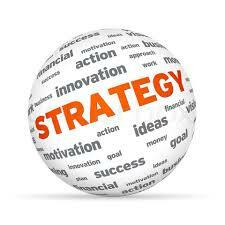 This will involve regular strategy conversations with amoung your senior leadership team on a monthly basis. You should be regularly checking the assumptions of your strategy, and adjusting strategy as needed. Too often strategy discussion revolve around the leadership team bringing a single proposal that is to be approved. Anyone suggesting different options or questioning the plan is unwelcome. Instead, change the conversation so that the underlying assumptions are debated, that choices are discussed and strategy becomes a shared vision. Organisations are too frequently guilty of giving managers ‘stretch target’ that are overly optimistic, then penalizing that manager for not reaching that goal. Perhaps it is better to assign probabilities to managers targets, so that when the performance is being discussed, a more realistic assessment of whether goal attainment can be made. If people are punished simply because they failed to meet a high risk plan, then employees will lose confidence and ultimately the entire organisation suffers. We have all seen the grand ‘strategic plan’ in all its glory – paraded in front of staff via glitzy PowerPoint presentations, or emailed out in an impressive document replete with interesting fonts, appropriate bolding, and the daring use of color. And while this may hype some of us for a short period of time, usually that is the last we see of it and it gets lost until the next review in 3 or 5 years’ time, when the performance is repeated. To give the plan the best chance of survival, also present the first steps that now need to be taken. Employees will appreciate the light being shone on the pathway and the opportunity to actually begin the journey rather than waiting for direction. So there are just four of the eight steps for improving your strategy processes. The article is well worth a read, and highly recommended. And remember, the Avondale Business School (ABS) is just a phone call (02 4980 21468) or email (abs@avondale.edu.au) away from helping you with your strategy. This entry was posted on Thursday, August 9, 2018 at 9:34 am	and is filed under Governance, Leadership, Management, Strategy. You can follow any responses to this entry through the RSS 2.0 feed. Both comments and pings are currently closed.